CURVED TVS - ARE THEY ANY BETTER THAN REGULAR TVS? It appears that today’s climate affords a desire to continually experience more. 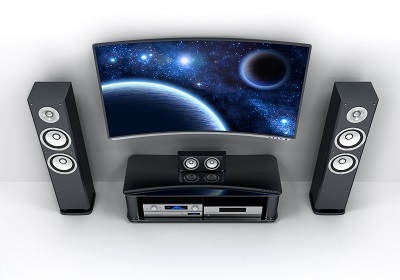 Whether this comes in the form of a freshly wired speaker system, a brand-new home theatre electronic or an impressive new reception gizmo - we can't help but notice that developments in technology are continually meeting the needs of consumers looking for an enhanced entertainment experience. This brings us to the focus of today's article. Curved TVs. Are they really that much better than your average flat screen? Are there any benefits other than the super suave look to curved TVs or is this just another marketing ploy to have you opening your wallet? Let's check it out. 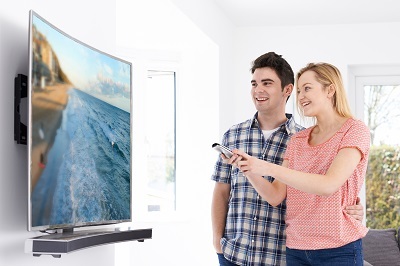 Curved TVs undoubtedly provide a higher 'immersion rate.' This is referring to the feeling that the image you're seeing is wrapping around you. And as a result of a curved screen expanding further into your peripherals, you’ll feel like you’re closer than ever to the imagery in front of you. It is also claimed depth perception is enhanced when watching a curved TV. 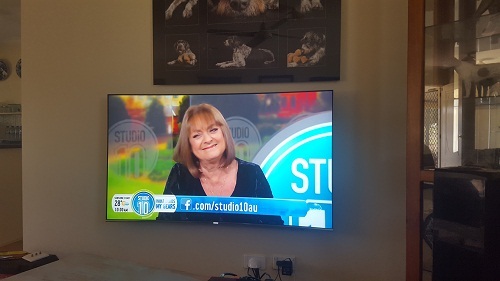 However this is not particularly due to the curving of the screen, rather that TV manufacturers are able to better manipulate the contrast on these TVs in a much simpler way that flat screens. Because of this, contrast can be altered by up to 1.8 times higher than your average TV. You have a curved TV! They stand out! They are waaaaaaay better than a flat TV! Right??? What are the fall-backs of a curved TV? Like any good argument, there are also reasons why curved TV’s may not be for you and we’ll cover them here. Curvy screens are said to exaggerate reflections. This is not so appealing if you have any indoor light near your TV. Even a light source such as a computer or digital clock will be enough to drive you mad! This reflection will now spread across your screen, much more dramatically than your average flat screen. And it only makes sense that you'll need to be completely face on to the TV to receive the highest quality of visuals. 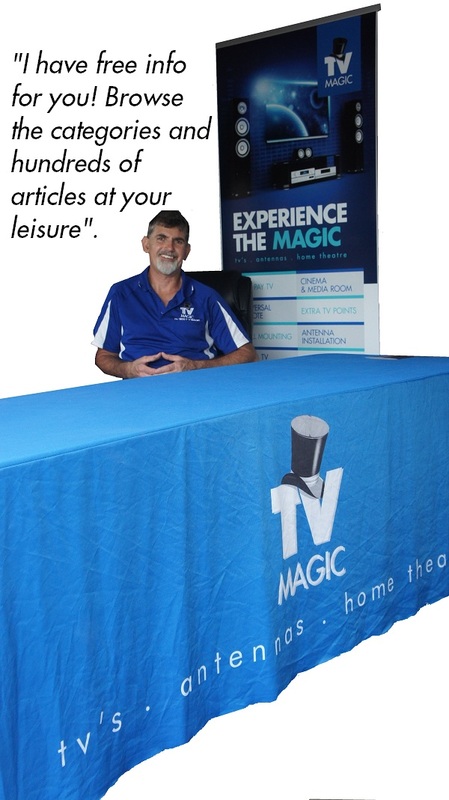 Otherwise, if you're closer to the side of a TV, too close or too far away, it is likely that the image will be skewed. Similarly, and partly due to this reason, curved screens really must be big to feel the full benefits of their curved benefits. But a plus is that a bigger screen allows for more comfortable viewing for more people and the skewed images may be less obvious. Wall Mounting a Curved TV? Should you do it? Another down fall of curved TVs is that when they are wall mounted wall mounted, they just look a bit yuck. And it’s not to say that your TV choices should solely be made on their aesthetics, but it’s something worth thinking about if you’re looking in to buying a curved TV. The profile of the bracket will be severly pronounced that much greater than a regular flat TV meaning that that you may see all of that chunky metal bracket from the sides. If it is mounted in a room with no foot trafic from the sides then it probably won't bother you. However if it is somewhere you can see it easily from the sides; or worse walking down a hallway and the wall it is mounted on is right in your face - you better get use to it - that curved TV will show all the messy cables behind the wall mount and a big chunky bracket of som description. That's not to say it can't be done. All Curved TV owners usually put their TV on the wall. The last thing they want to admit is that they are experiencing buyers remorse (if that is indeed what they are feeling). But if you ask us - just consider if it is something that you really and truly want. Like most technological advances, there are both pros and cons. If you're the type of person who must have all of the new, fandangle features of products, chances are you'll be in the market for a curved TV (if you haven't already gotten one!). However, if you're not too fussed and are patient enough to wait for the next gizmo to be released, we'd say this could be a good option too. 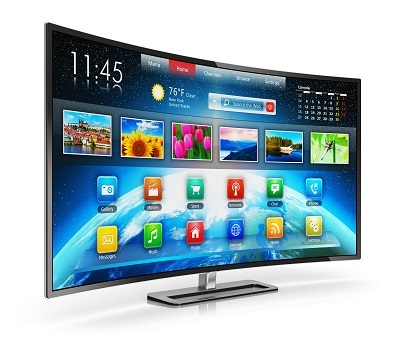 Do you have a curved TV? What do you think of it? Get in touch and let us know!